Jessie Matheson is a PhD candidate with the Invisible Farmer Project based at the University of Melbourne, in partnership with Museums Victoria. She is interested in the cultural history of Australian women, in particular women on the land. She is currently working on her thesis, a history of the Australian Rural Women’s Movement. In this guest blog post Jessie reflects briefly on her experience of attending the 25 Year Australian Women in Agriculture (AWiA) Anniversary Conference and shares a copy of the speech that she delivered there on Saturday 18 August. Longstanding members of Australian Women in Agriculture (AWiA) cutting the 25 Year Anniversary cake at the Shepparton Conference Gala Dinner, 18 August 2018. Photo: Catherine Forge (Museums Victoria). The weekend of the 17th to the 19th of August saw the annual Australian Women in Agriculture (AWiA) Conference in Shepparton, Victoria. The Conference was also a celebration of the 25th anniversary of the organisation. The AWiA was formed in 1994 and is a non-profit incorporated organisation that is “committed to ensuring that women influence the agriculture agenda” (https://awia.org.au). Over the past 25 years the organisation has had a significant impact in community, industry and government; lifting the profile of Australian women in agriculture. Inaugural AWiA president Dorothy Dunn launching AWiA at the 1993 Tallangata Women on Farms Gathering. Photo: this photo was displayed in the conference foyer during the AWiA conference weekend, 17-19 August 2018. AWiA have represented a community of women who have sought to change the national narratives surrounding rural women. In the story of the Australian Rural Women’s Movement, the AWiA holds a crucial position, connecting rural women with government, globalising the movement, and fostering a community of support amongst its members. The AWiA has always had its eyes set firmly on the future of women in agriculture, however, the 2018 Conference also represented an opportunity to reflect on how far they have come, not just as an organisation, but as a vital part of a globally significant movement. Walking through the historical display of timelines and photos that was afforded pride of place in the foyer was an apt reminder of the strength and value of rural women working together to support one another. A photo depicting founding AWiA members Lynett Griffith, Dorothy Dunn and Cathy McGowan in 1994. Photo: this photo was displayed in the conference foyer during the AWiA conference weekend, 17-19 August 2018. I think there’s absolute commitment by both men and women, that involving women in the agricultural sector is a critical part to our future. So I think we can feel really hopeful, that all you young women will take your rightful place there. And we can thank the work of Australian Women in Agriculture for this. Jessie mingling with conference delegates at the Friday night opening cocktail event held at the Shepparton Motor Museum. Photo (left to right): Jessie Matheson (PhD, Invisible Farmer Project, University of Melbourne), Laura Coady (PhD, Invisible Farmer Project, Monash University), Maria Brown-Shephard (AWiA Board Member) and Alana Johnson (AWiA Founding Member), Photo: Catherine Forge (Museums Victoria). It was a real honour to be invited to speak alongside such amazing women at this incredible event, reflecting on the history of Australian rural women, and the ways in which the work of AWiA continues to be of vital significance. Below is an edited copy of the speech I gave on the Saturday morning of the Conference, in a morning session shared with titled, ‘Looking Back at Australian Women in Agriculture? For a full conference program, click here. Hello, my name is Jessie Matheson and I am a PhD student at the University of Melbourne, in partnership with Museums Victoria. Firstly, I want to thank you for welcoming me here today, I am in awe of what is achieved at these events and the powerful role you have all played in Australian agriculture. I’m particularly excited to be speaking to you all here, I was born in Shepparton, and I can’t think of a better place to celebrate the achievements of women in Agriculture. My PhD is on the history of the Australian Rural Women’s Movement- a daunting topic considering I am proposing to write a history that you all have, and are, living! For those that might not be familiar with the term “Rural Women’s Movement”, what I’m referring to here is the amazing groundswell of rural women’s activism and activity that began in the 1980s-1990s in Australia, seeking to recognise and encourage the incredible and vital work women are doing, and have been doing on the land for generations. Some examples of this include; the vital role women played in the Landcare movement, the formation of the Rural Women’s Network in 1986, the Women on Farms Gatherings which began in Warragul in 1990, and, of course, the formation of Australian Women in Ag, 25 years ago! For the next few years I will be using as well as helping to build archives that document this work. This includes the archives of the Australian Women in Agriculture, and the recording of oral histories, both of which are going to be crucial to constructing a picture of the movement. I’m so excited to be doing this work. I’m deeply passionate about women’s history, and I truly believe heritage and historical context are crucial when telling any story. The Rural Women’s Movement is a great example of that. It was, and is, incredible because of what it was responding to, and the context within which it emerged. I thought I’d use my time today to offer some stories of women on the land, because I think they make the fact we are here today all the more impressive. Henry Haylyn Hayter, Census of Victoria, 1891, General Report. ﻿Another important change in the Census tabulation was made in reference to the wives and grown-up daughters of farmers, all of whom at previous Censuses were tabulated as engaged in agricultural pursuits unless some other occupation was entered. Although no doubt the female relatives of farmers, if living on the farm, attend as a rule to the lighter duties of the poultry-yard and dairy, it was felt by the Conference [of statisticians] that the statement that so many females were engaged in agricultural pursuits would create an impression elsewhere that women were in the habit of working in the fields as they were in some of the older countries of the world, but certainly not in Australia. It was therefore decided not to class any women as engaged in agricultural pursuits except those respecting whom words were entered expressing that they were so occupied, the others to be classed in the same way as other women respecting whom no employment was entered - under the head of Domestic Duties. This mouthful was written by a man named Henry Haylyn Hayter in 1891, justifying the decision not to classify farm work done by women as farm work. Can you imagine, in 1891, all the manual labour that those women did? This quote boggles my mind, because he starts by acknowledging the work women do, in fact, he acknowledges that before now- they were reported as working in agriculture. He then goes on to openly advocate for hiding that work in the statistics, not for the good of the women, not for the good of farms or rural communities, but because of how it would make Australia look. This change was made, women were thrown under the bus, in the name of ‘protecting’ Australia’s reputation. What’s more frustrating, is that he succeeded. The myth that women did not work on the land, that the work they did, did not constitute farming persisted into the twentieth century as policy makers, statisticians, cultural commentators, and historians looked to this census data to find; rural women doing ‘Domestic Duties’, whatever that meant. Only recently have researchers been challenging this. A few years ago, the historian Kathryn M. Hunter had the idea of looking at the local council rates books to fill in this story of farm women and their supposed domestic duties. She found that between 1880-1930 women rate-payers represented between 5-25% of ratepayers in rural shires. 7% of farms here in Shepparton had their rates paid for by women, those women held an average of 204 acres each. Most importantly, when these women paid their rates they would write their profession, and suddenly ‘domestic duties’ became ‘grazier’ and ‘farmer’ or ﻿ ‘dairy maid’, ‘milk woman’, ‘apiarist’ and ‘orchardist’. Hunter also found land-owning women who were butchers, publicans, factory-owners, hotel-keepers, nurses, dressmakers and postmistresses. What a more interesting picture, this paints! When women are given space to define themselves we see the full diversity of rural Australia, and the many fronts on which women contribute to these communities. We also see that women have been farming this land as long as we’ve been here, that the labour of these women has always been part of rural culture and the rural economy, yet for generations, when the question of rural women came before policy makers all we saw was ‘domestic duties’. Even in these rate books, the notion that women’s work was not farming spread; the rates of land-owning women did not decrease, however, Hunter found that over time, the numbers of women self-identifying as farmers, did. Aboriginal Australian women fishing in Lake Tyers, Victoria, ca. 1867 Charles Walter. Source: National Library of Australia . The history of women farming in this country started long before Henry Haylyn Hayter. Indigenous women had been fishing and farming this land for generations, and only recently has the work of Elizabeth MacArthur bringing the wool industry to Australia been properly acknowledged. Author of this novel Michelle Scott Tucker spoke at the AWiA Conference after Jessie and argued that Elizabeth should be a "household name". My early research has uncovered countless women in rural communities and on farms doing incredible work in the most impossible of circumstances, like Ellen Kelly, mother of Ned who relied on her family knowledge of dairying, and a sly grog shop, to get by after being widowed at 34. There are other, less well-known people like Annie Smith, a World War One nurse who took up a solider settlement in Victoria, and would trade nursing advice for free labour. She also helped soldiers who had returned to the community suffering shell shock. Or Vera Adamthwaite, from Kerang who joined the Country Party in 1950 and advocated for more women to join politics for decades. Mrs Kelly and family group outside the Kelly homestead, ca 1881. Source: State Library of Victoria. Even organisations of rural women struggled to achieve national respect and recognition. Consider the Women’s Land Army, who created a community of women working to feed Australia in times of great stress, yet were not permitted to march in the Anzac day parade until 1981, and didn’t receive official medals until 2012. Australian Women's Land Army, 1942- 1945: Source: Australian War Memorial. There are recurring themes in so many of these stories; invariably these women face the judgements and prejudices of the State, or even just from what the ‘national cultural expectations were’, but thanks to their own personal determination, and usually with help from their local communities- these women are nothing if not master networkers- they make prosperous lives for themselves, and go on to feed our nation, not just in the literal sense, but in a cultural sense. I hope I’ve made clear, all these women were farmers- in a number of different senses- and their communities recognised and valued the work they did- yet on a national level, they weren’t recognised. There is one case in particular which has fascinated me; The Rural Workers’ Union and South Australian United Labourers’ Union vs Australian Dried Fruits Association and Others case, which today is better known has the Mildura Fruit Pickers Case. In 1912 a group of women, in front of their bosses and an almost entirely male court room argued for higher wages. Women’s wages had been fixed at a permanently lower rate since the Harvester Judgement in 1907, now in front of the same judge, they argued that they deserved more for their work. The Harvester Judgement had decreed that men deserved a higher wage because they were required to financially support their family, this legally positioned women as dependents, not providers. When the Mildura Fruit Pickers and Packers took the witness stand they told the court about the work they did on the land to support their families. As with the Rate Books Hunter studied, through this case, we get an insight to the sheer diversity of rural women’s work. The women were all members of the Rural Workers Union. They were all seasonal workers, some were pickers whilst others pitted and packed the fresh and dried fruits. Some came from farm families with their own orchids, and this work was supplementing the family income. Others were supporting whole families on this highly seasonal labour. Some lived in town, others on small properties. Some were married, others widowed, others single and never married. They all earned between three and eight shillings a day, it was standard practice that women would be paid 54% of the male rate. As a historian, the documents from this court case are an exciting resource; women talk frankly about their work on the land and in the factories, the difficulty of working outdoors in the Mildura climate, which is something I’m sure many women here are more than aware of, and the expertise required to do parts of their jobs. They refuted claims from the opposing lawyers that seasonal work was like a ‘holiday’ and a way for them to earn ‘pocket money’. Male and female workers testified that they worked as fast, and often faster than the male pickers. They also talked about their families, many of them worked alongside their teenage daughters and most of them had a family structure which relied on their income, like Rebecca Tizard a 46-year-old widow, living with four of her five children in a three-bedroom house, and totally relied on her picking income and the income of her children. Ultimately, Justice Higgins ruled partially in the favour of the women. He decided that the women who were picking were doing “men’s work”, and therefore deserved the male wage, however, he found the work of packers to be more “naturally” women’s work, and therefore did not require equal pay. 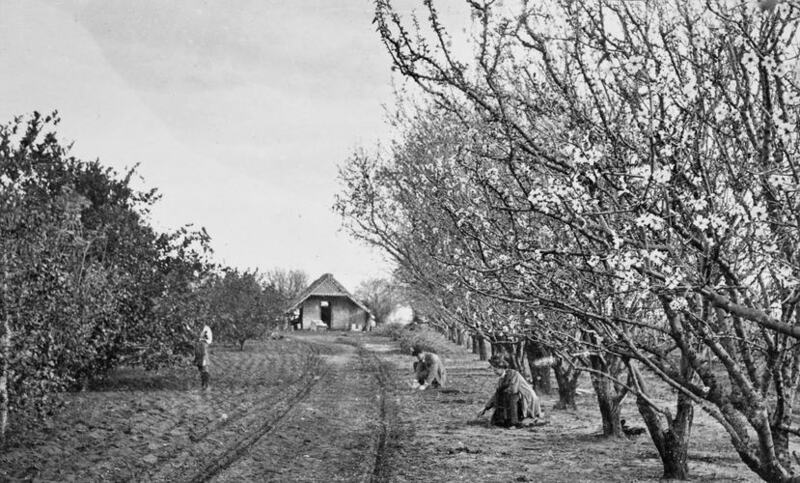 Historians remember the Mildura Fruit Pickers case as the case which legally justified the myth that there was men’s and women’s work, and that women’s work should be paid less. But I think that by studying the evidence of these women, we see the way rural women work is uniquely unsuited to this division. For starters, who has just one job? Many of these women were at one time or another both pickers and packers, and most of them were doing untold amounts of unpaid labour as mothers, wives and daughters. When we talk about a history of rural women, it’s not sufficient to look at how they define their employment on the census, or how much they are paid. I don’t need to tell you that the labour of rural women is better characterised as an incalculable number of tasks, requiring varying amounts of mental and physical labour, and that their contribution to a family income would be almost impossible to quantify given the levels of unpaid work that is expected of many, if not most women. The experience of rural women teaches researchers like myself that we cannot define work by a wage, we cannot define a home, or home duties by the exterior walls of a house and that we should never, ever define a woman by the job of her husband or father. By the way, the historian Ruth Ford looked into the background of the women who testified in the Mildura Fruit Pickers Case. Despite describing the back-breaking labour of fruit picking and fruit packing, almost every female member of the Rural Women’s Union described their work as ‘home duties’ on the electoral role. This says two things to me; the first, is that just like in 1891 their work was having a real impact, and was being acknowledged in rural communities, but was not being recognised on a national level. But it says something else too, it says that we need to look at what it means when someone identifies themselves with home duties, or domestic duties, or house wife, or farmer’s wife. Because we are talking about a radically different understanding about what it is to work in and support a home, and what is to be a wife. Let’s fast-forward to 1992, to The Invisible Farmer’s Report, the namesake of our project and a real turning point in terms of how rural women were discussed in government. The report argued that: ‘Once broader social attitudes enable the contribution of farm women to be recognised and visible, then men and women farmers will be able to work together to shape the future of agriculture.’ We could have a whole other conference on the findings of this report; it found what many people had always known to be true, that women play a crucial role on family farms and in rural communities. That this role is often unpaid, often unrecognised and often rendered invisible. It called on governments and policy makers to consider the experience of rural women and the debt Australia owes their labour. But I wanted to end with one final thought, or, I guess, a question. What do you think of the title, our name, 'The Invisible Farmer Project'? My first instinct was to react against it, I thought to myself; ‘how silly, women have been on our land forever, women have been sharing their stories and forming communities forever, who are we to call them invisible?’ But then I thought to myself that the term invisible does not suggest that something isn’t there, it suggests that someone is unable or unwilling to see it. My work is about making your work, and the work of the women on the land that came before you easier to see, especially to people who may not want to. Easier to see to all the people that were fooled by Henry Haylyn Hayter’s amendment to the census almost 100 years before the first Australian Women in Agriculture Conference, 99 years before the Invisible Farmer Report. A powerful visual demonstration of "invisibility" and what happens if you type the words "Australian Farmer" into Google in 2018 - the majority of images representing men. This slide was taken from a previous presentation by Catherine Forge (Museums Victoria, Invisible Farmer Project). A small sample of stories/images that have been collected thus far by the Invisible Farmer Project, aiming to make women's stories and histories more visible. This slide was taken from a previous presentation by Catherine Forge (Museums Victoria, Invisible Farmer Project). I would urge you all to consider the ways in which you define your work, and the work of others, and imagine what it could mean to the future generations of women on the land, and also to the men and women who determine national rural policies. I would urge you all to continue the work you are doing, to force people to recognise the work rural women everywhere are doing to sustain our communities and feed our country. Women participating in a tour during the 25 Year AWiA Conference, 19 August 2018. I would like to end by asking a favour of all of you; I’ve begun my research by focussing on the context in which the Rural Women’s Movement emerged. My next work will be to collaborate with the women involved to determine the ways in which the Movement was important to them, to you. If you were involved in the Movement, what does it mean to you? What was it that spoke to you, as a woman on the land? Was it the work of the Women on Farms Gatherings and their focus on upskilling, or succession planning? Was it Landcare, and what it expressed about the importance of sustainability or political action? Was it drought policy, which I’m sure is on many of your minds at the moment? Is it something I haven’t even thought of? Women on a tour at the 1994 Glenormiston Women on Farms Gathering, Source: Museums Victoria. I hope I’ve shown today that the stories of rural women are not always in the documents left behind, that the work we are doing on this project is about preserving your stories, and what’s important to you, for future generations. Finally, I want to congratulate you. I said at the beginning of this presentation that I am in awe of everything the women in this room have achieved and I would like to reiterate that now. The Australian Rural Women’s Movement was unprecedented, and had global implications. This weekend is a celebration of that, and a promise to direct that creative energy towards the next 25 years, and the challenges they will bring, and I am so very grateful for your time. Ford, Ruth. “‘I Am Not Satisfied’: Identity, Unionism and Rural Women’s Labour in 1912 Australia.” History Australia 2, no. 1 (2005): 1–12. Grimshaw, Patricia, Marilyn Lake, Ann McGrath, and Marian Quartly. Creating a Nation. Melbourne: McPhee Gribble, 1994. Hunter, Kathryn M. “The Drover’s Wife and the Drover’s Daughter: Histories of Single Farming Women and Debates in Australian Historiography.” Rural History 12, no. 2 (2001): 179–94. Lake, Marilyn. “Annie Smith: ‘Soldier Settler.’” In Double Time: Women in Victoria - 150 Years, edited by Marilyn Lake and Farley Kelly, 297–305. Ringwood: Penguin Books Australia, 1985. ———. “The Trials of Ellen Kelly.” In Double Time: Women in Victoria - 150 Years, edited by Marilyn Lake and Farley Kelly, 86–97. Ringwood: Penguin Books Australia, 1985. Pascoe, Bruce. Dark Emu : Black Seeds Agriculture or Accident? Broome: Magabala Books, 2014. Tucker, Michelle Scott. Elizabeth Macarthur: A Life at the Edge of the World. Melbourne: Text Publishing, 2018. White, Kate. “Vera Adamthwaite: A Countrywoman in Politics.” In Double Time: Women in Victoria - 150 Years, edited by Marilyn Lake and Farley Kelly, 431–37. Ringwood, 1985.